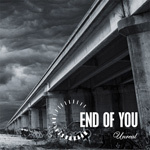 End of You have played their machine driven melancholic rock since 2003. Founded by singer/songwriter Jami Pietilä, Jami's first recruit was his good friend, bassist Lede, whose skills have been proved on several metal albums in the past years. Their initial idea of making melancholic metal obviously meant that a keyboardist would be needed hence synth player Johnny was recruited. By adding drummer Mika to the line-up and Jani to the guitar Jami had a whole band around him, and End of You had taken its final shape. With the band formed, they made a strange choice of making a video of their first and best demo song "Walking with No One". 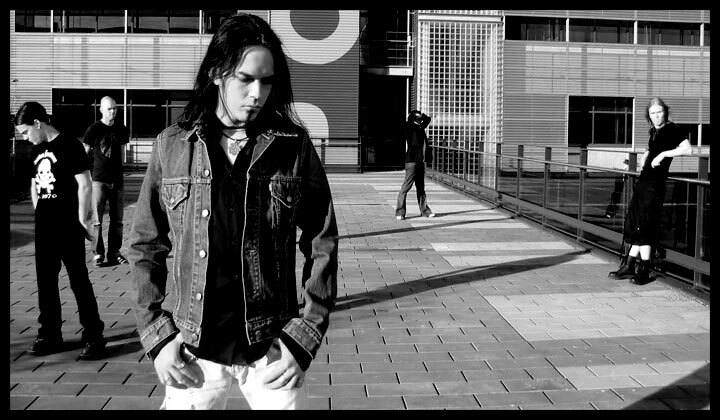 The video had a positive effect though, raising huge interest among the gothic metal scene. After making the video End of You recorded a 7-song demo, a demo which was so carefully finished even at its demo stage that Spinefarm Records’ label manager Sami Tenetz took immediate interest in the band. After just a few months of negotiations, End of You was signed to Spinefarm, and the recordings for the band’s first album were started. In November, 2005 the first single Walking With No One was released in Finland with good success and in March fans will get the much anticipated second single called Upside Down as well as band’s mind-blowing debut album, Unreal. Also known as an excellent live band people can prepare for unique and outrageous live-shows this year throughout the world!